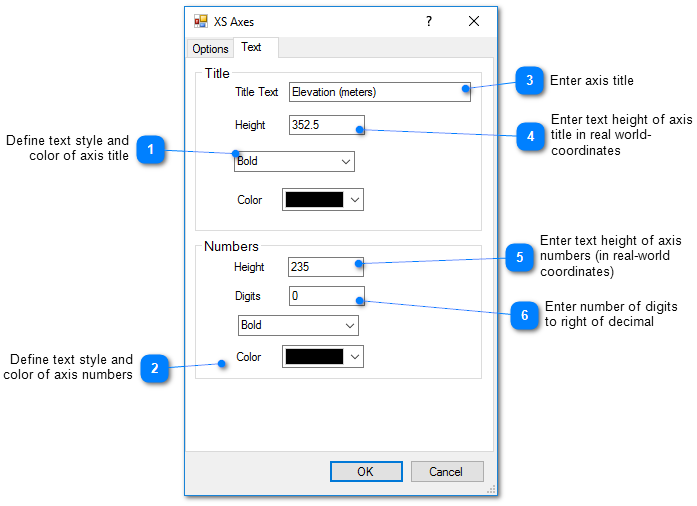 To edit the properties of the cross-section profile axes, double click on an axis in the View window or on the object name in the Plot Control tree. The XS Axes dialog box opens. 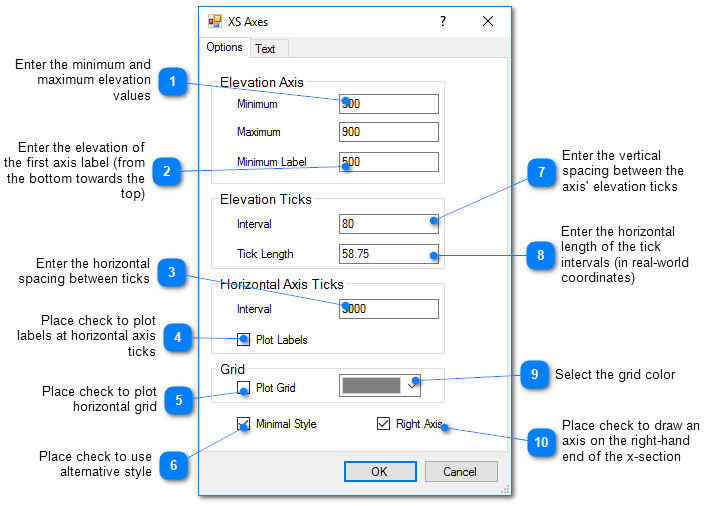 Modify the properties of the axes on the Options tab and Text tab as desired. Click the OK button to save changes.